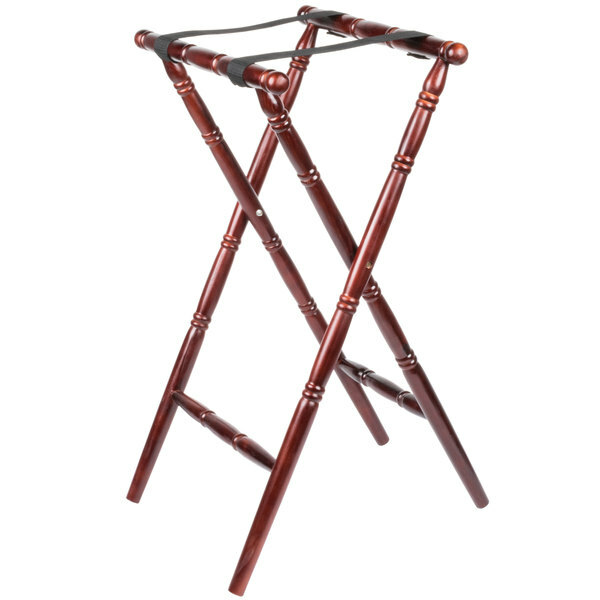 This Lancaster Table & Seating sturdy red brown chic 32" turned wood tray stand is an attractive addition to your dining room service. Its space-saving folding design flips open easily to provide perfect, stable support for large heavy trays of food. The turned wood style adds a more upscale flourish to your table service.